As I noted on Twitter over the last couple of days, the only changes to the schedule next season are a change to Sunday start times to 1:30 and earlier evening times during April and May to 6:30. 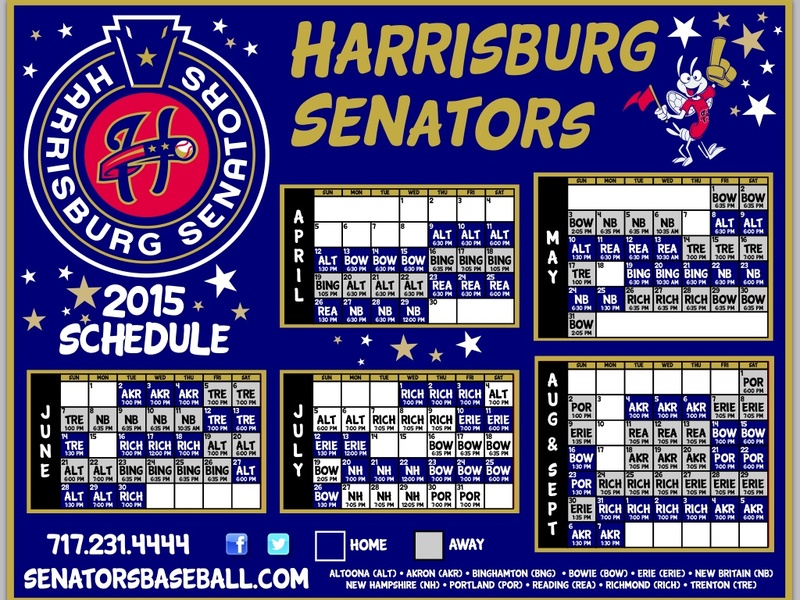 This entry was posted in Uncategorized and tagged 2015 schedule, Harrisburg Senators. Bookmark the permalink.